If you have ever been charged with a crime, you know what a hardship it can be. Having to disclose an arrest can be long-term hardship, even if you were not convicted of the offense. You may get a stomach-ache every time a potential employer asks if you have ever been arrested, or you may have difficulty finding a place to live or even traveling internationally. An arrest record follows you long after you have served your sentence. Fortunately, Texas law allows certain former offenders to petition the court to make their conviction record nonpublic. This is called “expungement” or an “expunction.” When you qualify for an expunction, it is as if your arrest never happened. Non-disclosure of a criminal record and expunging a criminal record are two very different things. The final effect is similar: no member of the public has access to the record when they search your criminal history. However, expunctions and non-disclosures happen under two very different circumstances - and for the expunction, even government officials don't have a record of your arrest. When the state expunges a criminal record, they destroy all of the records of the case. It is as if it never happened. With a non-disclosure, there are certain records that still exist for law enforcement purposes. Law enforcement can see these records and read information about your past conviction, but the general public cannot. The first thing to do to clear your criminal record in Texas is to check your eligibility. If you are tried and acquitted of the charges against you, you are allowed to ask the state to destroy the records of the charges. In addition, if you are convicted but later receive a pardon for the offense, you are eligible for an expunction. In cases where a person is later exonerated after a conviction, they can ask the state to destroy the records. There are also some minor offenses and juvenile convictions that are eligible for expunction after a certain length of time. Even if you are not eligible for expunction, you may still qualify to ask for non-disclosure of the record. Experienced Houston criminal defense attorney Neal Davis can tell you if your case meets the qualifying criteria. 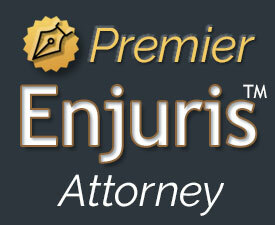 To obtain an expunction, you or your defense attorney must to file a petition with the court. The state must also be notified. If you meet the requirements, the judge must grant the petition and order the records expunged. Personal Information. For starters, you must include personal information such as your date of birth, driver's license number and social security number. Arrest Reports. The court also needs complete arrest information including the crimes charged, dates of arrest and charging agencies. Agency Records. In addition, the court needs to know what agencies might have relevant records so that they can notify them of the outcome of the petition. The petition must be filed in the county where you were arrested or where you faced the criminal charges. Once you have prepared a petition for expunction, you must place an expunction order. In most cases, it is the defendant's attorney who prepares the order. This is the document the judge signs directing the relevant government agencies to destroy all criminal records. It is up to you to prepare the order accurately and with all of the necessary information. After the expunction is complete, the state keeps the records for designated period of time. The reason for this is to have the records available in case the person charged later brings a case for wrongful imprisonment. After the statute of limitations runs out, the records are completely destroyed. Non-disclosure cases are different than expunction cases in that they are often discretionary. That is, the judge can decide if they want to grant the request for nondisclosure or not. This is different from expunction where the court only has to make an easy decision as to whether a petition meets very strict, easy-to-follow requirements. When a person qualifies for non-disclosure, they often still have to prove to the court that the non-disclosure is in the interests of justice. It is critical to carefully prepare a non-disclosure petition in order to make the best possible case to the court that they should grant your request. If you are interested in an expunction or non-disclosure of your records in Texas, Houston criminal defense attorney Neal Davis may be able to help. From discussing eligibility to writing your petition and order, we are ready to help you fight for your rights. Contact us today to schedule a free consultation.